The wind doesn't distinguish between red states and blue, but that hasn't stopped wind power from becoming a political flashpoint. At issue is the renewable-energy production tax credit, a subsidy President George H.W. Bush signed into law in 1992. 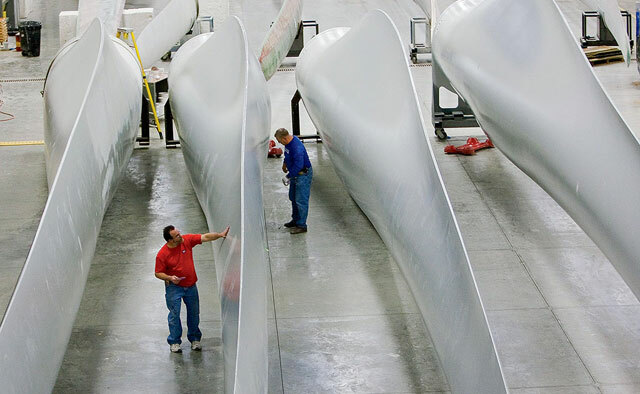 At a cost of about $1.6 billion annually, it has helped make the U.S. wind industry second only to China's as the world's largest. This summer the installed capacity of U.S. wind turbines hit 50 gigawatts–as much as can be generated by 44 coal-fired power plants, or 11 nuclear-powered ones. Wind might account for an even bigger part of the U.S. power supply today had this tax credit not been allowed to lapse three times in the past two decades. Each time it did, the number of new installations cratered. It takes roughly 18 months to develop a new wind field, and without the certainty of subsidies, investment dries up. (The far greater subsidies for oil–$2.7 billion to $4 billion a year–have never been allowed to lapse.) The American Wind Energy Association, an industry group, says that if the wind tax credit is not renewed at the end of the year, 37,000 American jobs could be lost. As of this writing, Republican opposition in Congress has blocked reauthorization. That opposition, however, is far from unanimous. GOP politicians in major wind-producing states like Iowa, where the industry employs up to 7,000 people and supplies 20 percent of the state's power, are pressing hard for an extension. Republican representative Tom Latham, for instance, said opponents "lack [a] full understanding of how important the wind energy tax credit is for Iowa and our nation." In August the Senate Finance Committee, on which pro-wind Iowa senator Charles Grassley (R) sits, passed a one-year extension of the credit, with the full Senate expected to follow suit. That leaves it to the GOP-controlled House, where Representative Mac Thornberry (R-Texas–the nation's leading wind-power state) is supporting a 10-year extension.